See what Classmunity can do for you. School administrators receive a comprehensive school fundraising management system including approval systems, real-time monitoring, management reports and more. 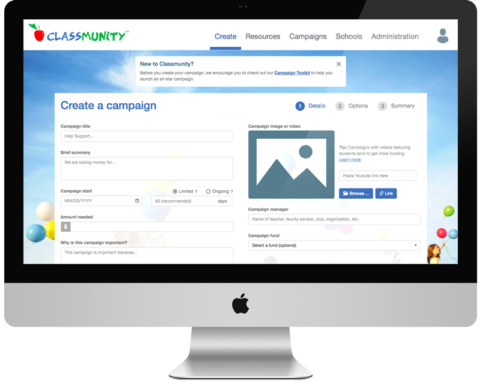 Engage your whole community by creating a campaign with just a few clicks. Support can quickly and easily donate from the convenience of their desktop, laptop, tablet or smartphone. 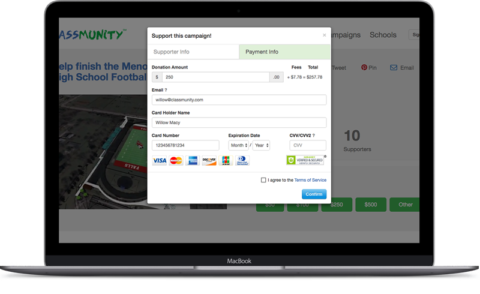 With secure cash and check tracking as well as double-entry functionality, your fundraising campaigns provide accountants and auditors peace-of-mind. Read to what our users have to say. We are very excited to have a fundraising tool that allows administration to oversee fund development in a manner where we can control the campaign approval processes and safeguard the funds through bank accounts in line with our business practices. 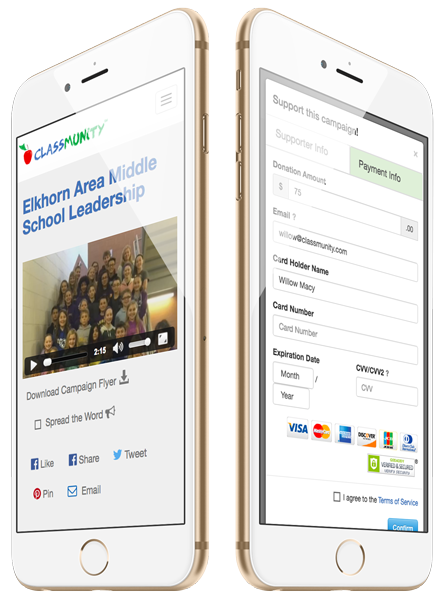 Classmunity is a professional website where donors can see our district's fundraising efforts, both to celebrate the exciting work happening in Elkhorn and to donate at any time with the ease of a few clicks. 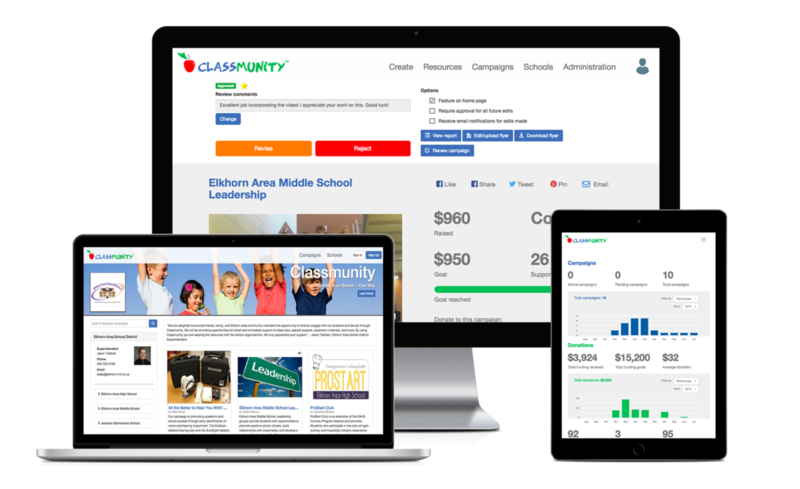 Classmunity has been an excellent resource for our school district. It allows us to take advantage of web-based crowdfunding with the needed oversight and controls required of school districts. Eliminating the potential fraud and liability concerns that come with crowdfunding tools that are not sponsored or managed by the school district provides peace-of-mind. Access to real-time reporting and ease of use are added bonuses that make it a valuable tool for all schools.